Sunday April 30th marked the beginning of the BC cup circuit. Being one of few local interior events I really wanted to be there. Lucky for me and the other 160 competitors as it was an awesome course. At 10:30 we all lined up for 2 laps of the 90% sinlgetrack loop (pro men 2.5 loops). There was a prime for the fastest lap so all challengers were ready to pin it from the gun. 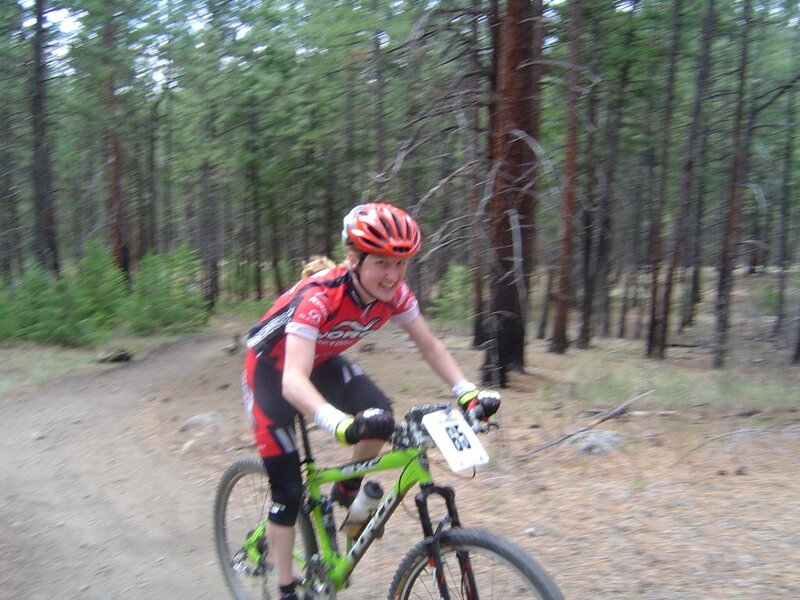 The women’s fiels saw a resurgence in numbers from last year containing 13 women and a lot of newer faces. The men’s field contained about 20 guys with some good depth being presented by Ricky Federeau, Brendan Macintosh, Matt Martindale and Neal Kindree. I decided to race my Norco FS1.0 after 2 years on a hardtail. I was able to push hard on the single track climbs easily winding through the trees and it begged me to push it on the descents. Ricky and I were able to capture the fastest lap primes. While I was able to ride at the front all day, the men switched it up with Neal and Brendan duking it out for the win after dropping Ricky and Matt. In the women’s filed a battle was being fought for 2nd place between Meghan Kindree and Leah Guloien with Meghan coming out of this one on top. 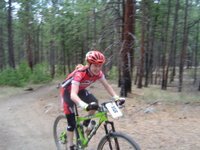 Kerry Van Kooy was also in the mix finishing first in the Masters 30-39 category and with a time good for 4th in the Elite field. Cheers to the Merrit race organizers for a fun and smoothly run event.